A heat pump is an energy-efficient alternative to a furnace or a boiler. Generally running on electricity, this heating system consumes less energy because it moves heat instead of generating it. Thanks to the design of this HVAC equipment, it can also work in reverse. It can move heat from a cool area to a warm one and vice versa. Advanced heat pumps may even dehumidify better than central air conditioners. Most experts in heat pump and AC repair love two-speed compressors. These modern components enable heat pumps to work relative to the heating or cooling capacity required at a particular period. On the contrary, standard compressors constantly operate at full capacity, which can waste energy when not much heating or cooling is needed. Furthermore, two-speed HVAC units can work well in zone control systems. 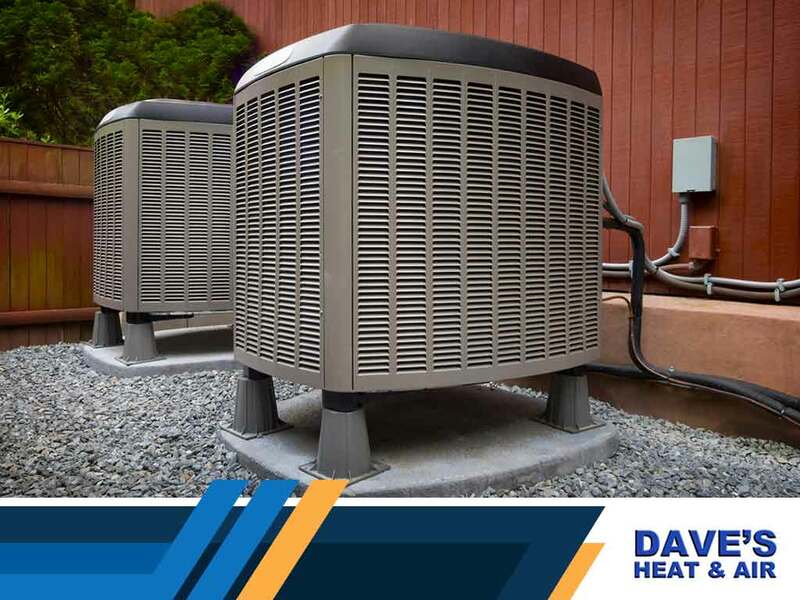 Considering that different rooms usually different temperatures, a heat pump reinforced with a two-speed compressor is efficient equipment to have. Variable-speed controls allow heat pumps to move heat and air at comfortable velocities. These cutting-edge motors may be located on indoor blowers, outdoor fans, or both. Whichever the case, these components will minimize drafts and help heat pumps work more quietly. To stem your electric consumption during the peak of the heating season, consider buying a heat pump with a back-up burner. This component helps keep your heating unit from bringing in chilly air during the coldest months. Is a heat pump suitable for your house? Turn to Dave’s Heat and Air to discuss your HVAC needs. Call us at (972) 435-0303 to schedule service or talk about your heating and air repair or installation project.